It’s that time of year…the holiday sets, the Christmas exclusives, the one-off’s we wait all year for…they’re finally starting to hit the shelves. As a beauty blogger this is very exciting stuff, but as a beauty addict, well, I’m literally spending more time than I care to admit prowling through websites and catalogues, and admiring the seasonal pickings on offer. 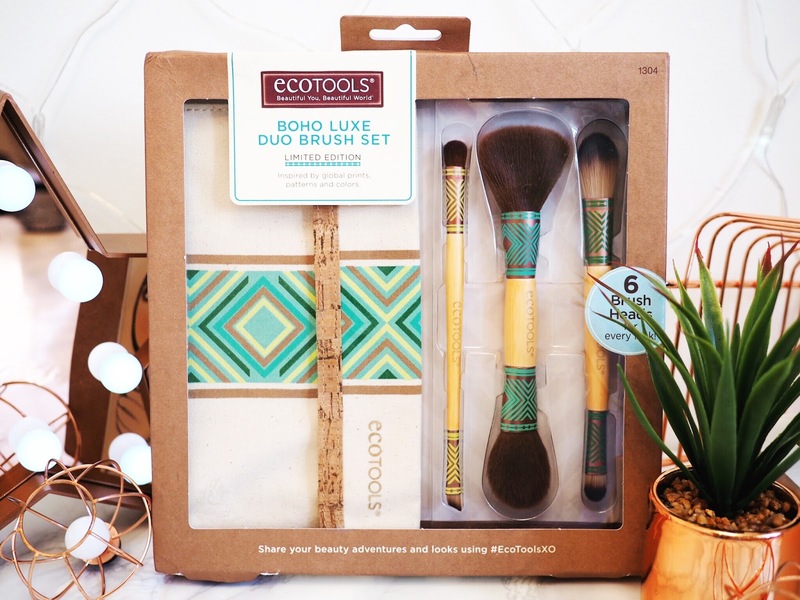 The first to land on my doorstep was the Ecotools 2016 Holiday Collection, and I love that their theme this year is Boho Luxe. The style of the collection means they’re a great and more cost effective alternative for the MAC Vibe Tribe Collection. And who doesn’t love a good dupe?! 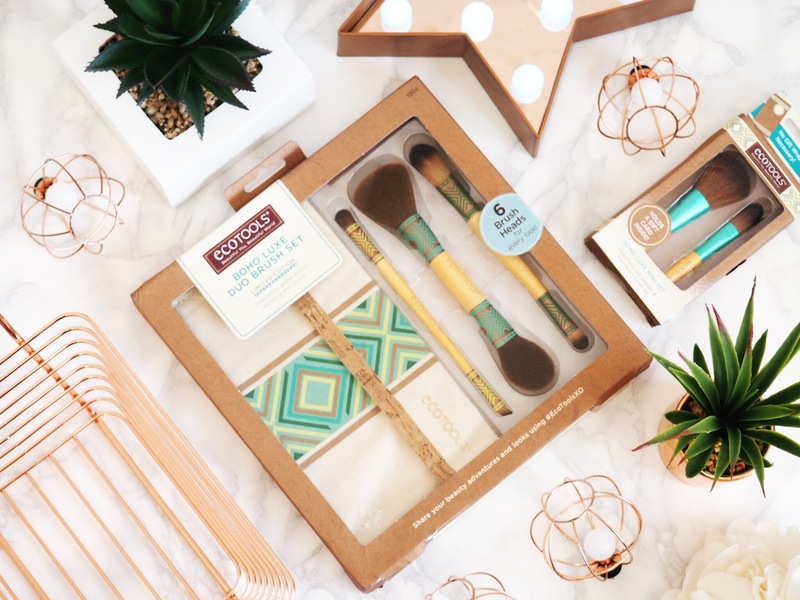 The whole collection has a global-inspired design with bold prints and lots of colour, and the most loved part of Ecotools – the organic materials in the products. There are a couple of different sets in the collection, and they’re all limited edition – so get them while you can. As per usual with Ecotools brushes, the brush tips are soft and luxurious and apply make-up flawlessly. They’re a lovely set and I like that I don’t need to carry six individual brushes around with me. Available from November in Superdrug for £19.99. Perfect stocking fillers and a cute gift for the beauty lovers, this tiny little set might be small but it’s got huge potential. Featuring the two most essential make-up brushes: the powder and the foundation brush, you’ve got two brilliant quality mini brushes which are perfect for on the go application, and for space saving in smaller make-up bags. Available from November in Superdrug, it’s only going to cost £4.99, so it’s a good gift for those on a budget too. 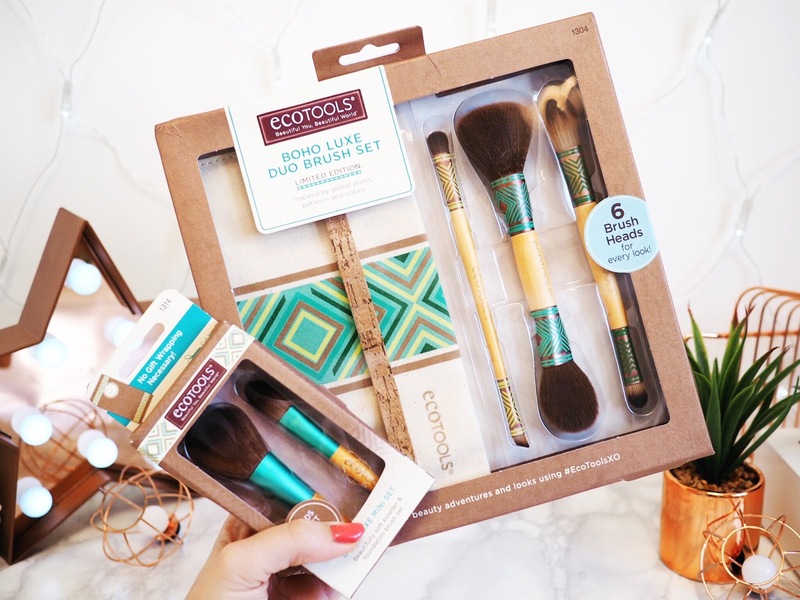 So, when it comes to brush sets, Ecotools have created a budget friendly and nifty collection that everyone will find value in. And I personally love this perfect MAC Vibe Tribe dupe range. What do you think? 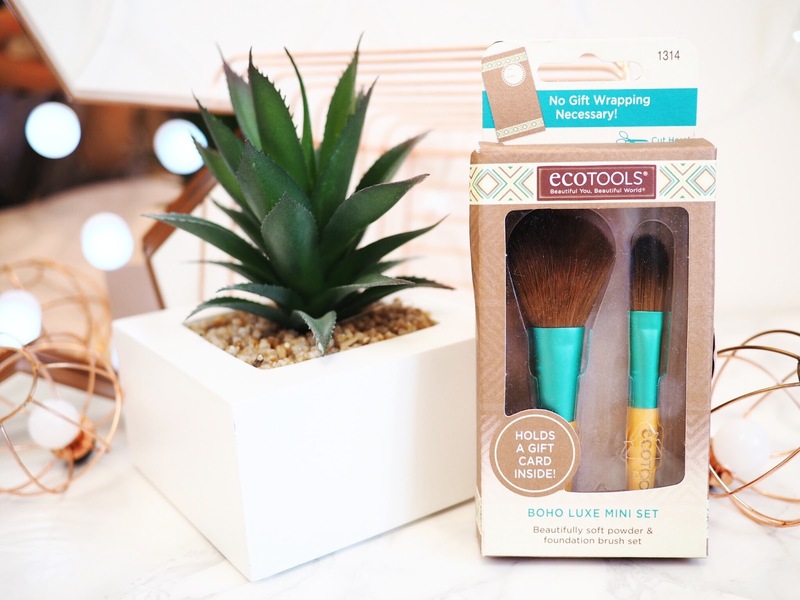 Will the Ecotools sets be making your Christmas list this year?